Burning wood and protecting the environment—there are people who claim that these two things don’t go together. But this is actually incorrect! 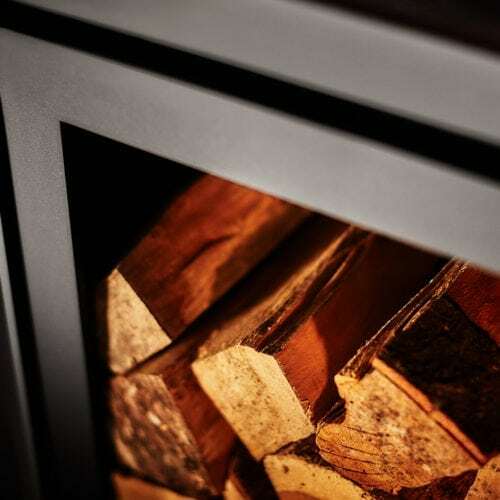 A fireplace is an excellent environment-friendly alternative for central heating; that is, when you burn wood in a fireplace that complies with emission standards. So, learn how to burn wood sensibly and throw out fireplaces that are over 15 years old. A prohibition on wood fireplaces—which is speculated upon a lot in the media—will definitely not materialise. 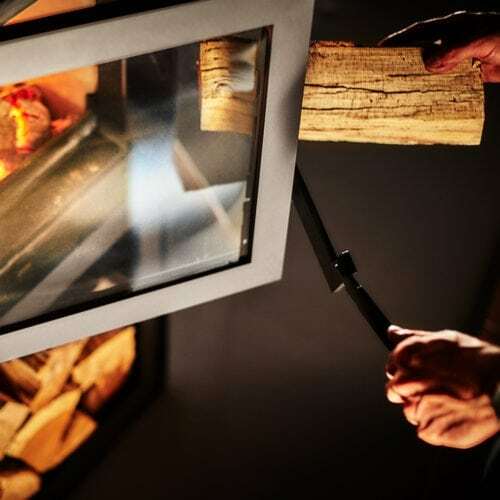 More than that, throughout Europe, burning wood is considered a source of renewable energy, a clean and inexhaustible source of energy that does not harm the environment. This is not surprising because modern wood fireplaces have such a smart burning system that they hardly emit environmentally-harmful substances. The effect of wood-burning on the environment also depends on us, the people burning the wood. When there isn’t enough oxygen for the wood to burn, it creates gasses and substances that are not completely oxidised (burnt), such as carbon monoxide or particulates. Particulates consist of very fine particles, smaller than a hundredth millimetre, which consist of a mixture of salts, minerals and tars. The tars in particular are harmful to our health. 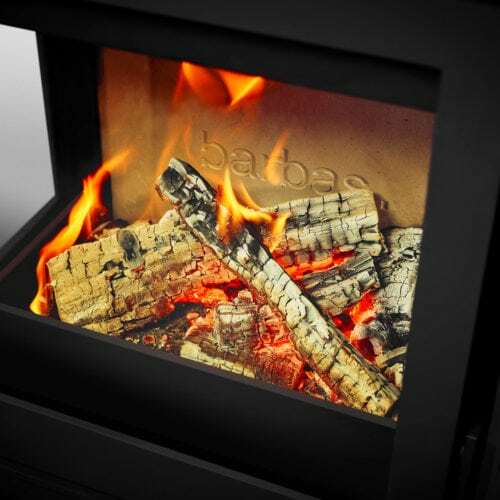 Burning wood in a sensible way reduces the amount of harmful tars. Thus, it’s time for a quick lesson in responsible wood-burning. Everything begins with a good fireplace. An increasing number of manufacturers are complying with the strict environmental regulations. One of these regulations is the ECODESIGN legislation for wood stoves and fireplaces. Officially, this European legislation will only come into effect in 2022, but most manufacturers are already complying with it, including Barbas Bellfires. The emission of particulates in our fireplaces is at least 100 times less than in open fireplaces; one old-fashioned open fireplace emits as much as 100 modern wood fireplaces together. Good-quality wood is the basis for every good fire. The type of wood most commonly used for fireplaces is oak. It’s an elastic and hard type of wood that is easy to find, for example in the construction market. Other suitable types of wood are birch, alder, ash and beech. Wood briquettes (without binding agents) are also excellent for the fireplace. The most important condition is that the wood should be sufficiently dry. In general, 1.5 – 2 years of drying outdoors is sufficient. Never use wood that has been painted, varnished or preserved: burning these wood types will emit harmful substances, which harms the environment and our health. The same applies for rubbish, waste timber and chipboard. In summary, burn only clean wood! Make sure that your fireplace has a capacity suitable for the space it needs to heat. Once a year, have your chimney cleaned by a professional. Do not burn wood in the fireplace when there is no wind or in misty weather. Place at least 4 logs of wood at the bottom, stack loose pieces of wood and firelighters on top of them and light these. Stack the wood loosely so that air can enter easily. If it gets to be too hot indoors when the fireplace is burning, decrease the wood supply, let the intensity of the fire decrease and reduce the aeration of the fireplace. Never completely close off the air supply. Check that you are burning the wood correctly. A good fire (yellow-orange colour with purple and blue points) has even flames and you will hardly see any smoke coming out of the chimney. Let the wood extinguish by itself without closing the regulating flap. We also recommend reading about the Swiss method. This new way of burning wood guarantees a perfect fire. Enjoy! What is the new way of burning wood all about?